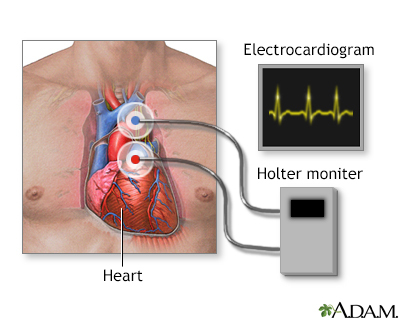 A Holter monitor is a machine that continuously records the heart’s rhythms. The monitor is worn for 24 to 48 hours during normal activity. After 24 to 48 hours, you will return the monitor to your health care provider’s office. Your provider will start the monitor. You’ll be told how to replace the electrodes if they fall off or get loose. Occasionally there may be an uncomfortable skin reaction to the sticky electrodes. You should call the provider’s office where it was placed to tell them about it. Miller JM, Zipes DP. Diagnosis of cardiac arrhythmias. In: Bonow RO, Mann DL, Zipes DP, Libby P, Braunwald E, eds. 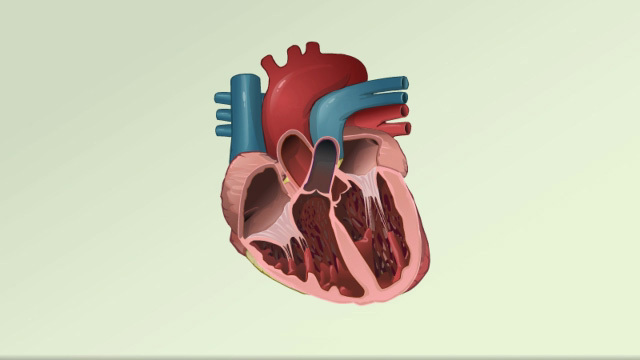 Braunwald’s Heart Disease: A Textbook of Cardiovascular Medicine. 10th ed. Philadelphia, PA: Elsevier Saunders; 2015:chap 34.